The Goodwood Timber and Tramway Company mill was the largest and most capital intensive sawmill to operate in the Yellow Stringybark forests of South Gippsland. It was established in 1910 by the Kalgoorlie and Boulder Firewood Company of West Australia, and was linked by a 2 ft gauge steel tramway to Port Albert, 32 km away. By 1912 the company employed up to 145 workers, creating a substantial township around the mill. The site features relatively intact earthworks, substantial numbers of intact foundation and support timbers, tramway formations and the remains of a locomotive inspection pit. The remains of numerous domestic buildings and associated discard demonstrate the scale of the original mill settlement. The mill was closed in 1920. The Goodwood Timber and Tramway Company mill is of historical and archaeological significance to the State of Victoria. The Goodwood Timber and Tramway Company mill is historically important for its association with a large and highly capitalised West Australian firm, and for the large forest settlement it supported. Sawmills operated by such companies are rare in Victoria and the Goodwood mill is an important example of its kind. Sawmilling sites are important for their role in providing a vast range of timber products for use in domestic, commercial and industrial contexts. 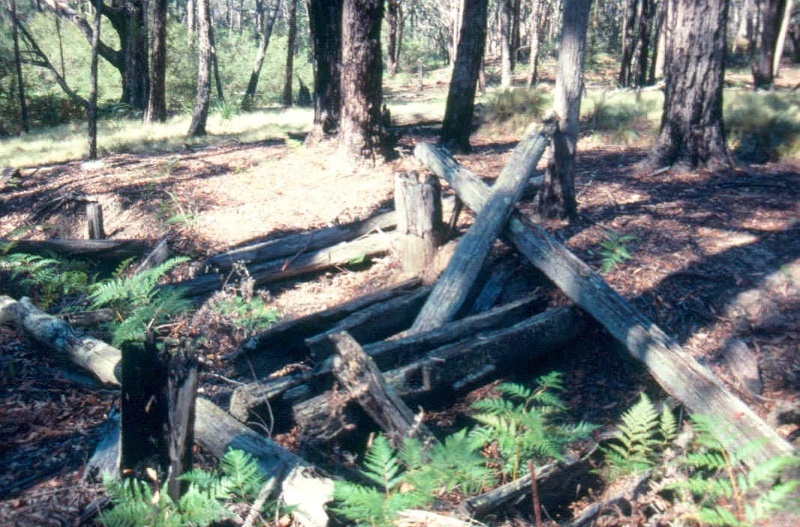 The Goodwood Timber and Tramway Company mill is archaeologically important as a comparatively well preserved example of a large, steam-powered sawmill which operated in Victoria?s most important commercial Yellow Stringybark forest. The remains demonstrate well the sequence of operations in the mill and log yard. Domestic artefacts from the site also have the potential to provide evidence relating to the cultural history of sawmilling settlements. Goodwood Sawmill, Mullungdung State Forest, Stradbroke, Wellington Shire Council. 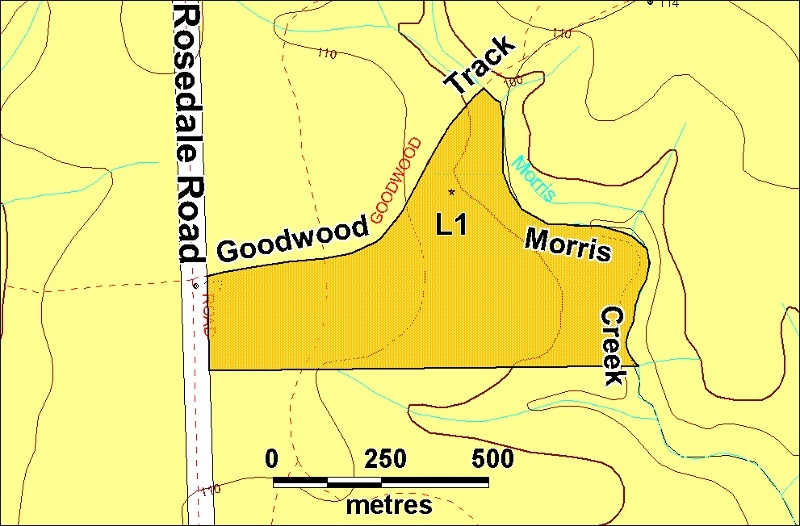 All of the Crown Land including earthworks, foundation timbers, tramway formations, habitation debris, surface and subsurface artefacts and any other remains of sawmilling activity shown as L1 on Diagram 2011 held by the Executive Director. By the late nineteenth century the Gippsland yellow stringybark had come to be regarded as a strong and durable timber and the closest Victorian substitute for West Australian Karri. The Victorian Railways soon accepted the timber as bridge and sleeper material. By the early twentieth century a number of small mills cutting yellow stringybark were established on the western and southern fringes of the Mullungdung Forest in South Gippsland. The forest attracted the attention of the Kalgoorlie and Boulder Firewood Company, a West Australian firm experienced in the use of tramways for timber transport. By early 1910 work was underway on plans to install a large sawmill 32 kilometres north-east of Port Albert. A tramway to the port provided outlets by both rail and sea, with the first load of timber dispatched over the line in July 1910. By 1913, three locomotives operated on the tramline. A workshop for maintaining the locomotives was built at the mill and staffed with experienced fitters. A new company, the Goodwood Timber and Tramway Company, was incorporated in February 1912 to take over management of the mill and its tramway system. The Company gave its name to the mill and its settlement. The mill plant was enlarged and output increased dramatically. Despite an initial setback after the declaration of war in 1914, the following years were successful for the Company, which sold the vast majority of its output to government departments, especially the Victorian Railways. By 1912 the company employed either directly or on contract 145 workers. Around thirty of these worked at the mill, with the rest employed either in the bush or on tramway operations. A substantial settlement grew up around the mill and included at its peak two boarding-houses, a recreation ground, tennis courts, general store, tobacconist and a Post Office. In addition, a community hall served as a venue for schooling, church services and entertainment. The initial cluster of bark huts and tents was quickly replaced by a small township of neatly constructed sawn timber houses with extensive vegetable and flower gardens. Several of the ‘streets’ also acquired names. Many of the men and their families had come with the Company from Western Australia and this may have added to the strong sense of community at the mill. The intensive nature of operations in the Mullungdung Forest rapidly depleted the available timber resources. By 1917 the Company had started to wind back its operations. The mill was closed in March 1920, with the mill machinery and tramways dismantled and relocated to a fresh area at Noojee.